Early finance reports don't tell us a whole lot about the status of the governor's race. In the coming days, you’ll see plenty of discussion about where each candidate got their money — how much is from in-state or out-of-state contributions, how many small contributions they received, and how much they’ve gotten from political action committees or industry groups. Adam Cote, Donna Dion, Mark Dion, Mark Eves, Janet Mills, Diane Russell, Betsy Sweet Democratic candidates governor 2018. The truth is, while that data is interesting for those of us who closely examine politics, none of it really matters all that much for the moment, because it doesn’t tell us much about the race overall. Sure, it may make for a a few good attack ads that help one side or another rile up their base, but it’s not going to change a lot of minds. If the electorate as a whole frequently shifted their votes based on where money came from, then certain sources of funding would dry up and peter out, as actual votes always end up counting more than fundraising in the end. Voters may say they hate PACs, but unless they actually start voting against all candidates who take money from them that’s not going to change anything. It’s just like negative campaigning; people may say they don’t like it — who does, after all? — but candidates still do it because it still works. It’s also important to note that the amount of money raised and spent does not necessarily equate with popular support. This is a frequent mistake made by analysts of all stripes at all levels, whether they’re talking heads on national television or your local columnist. It’s easy to do for a couple of reasons. Fundraising reports provide you with solid data points before others become available, analysts like to break everything down into a zero-sum horse-race, and it’s not always completely wrong. If, for example, someone’s been running for president for six months and they’ve only raised $100,000, then it’s probably a safe bet that they’re wasting time preparing an acceptance speech. However, fundraising numbers are in no way, shape, or form a substitute for good, accurate polling data. We’ll have to wait for real public polls to be available to see exactly where each candidate stands in the eyes of the public, and how things might turn out in November. Right now, the most important details from the recently released fundraising totals are the two top-line numbers: How much each candidate has raised, and how much cash they have on hand. 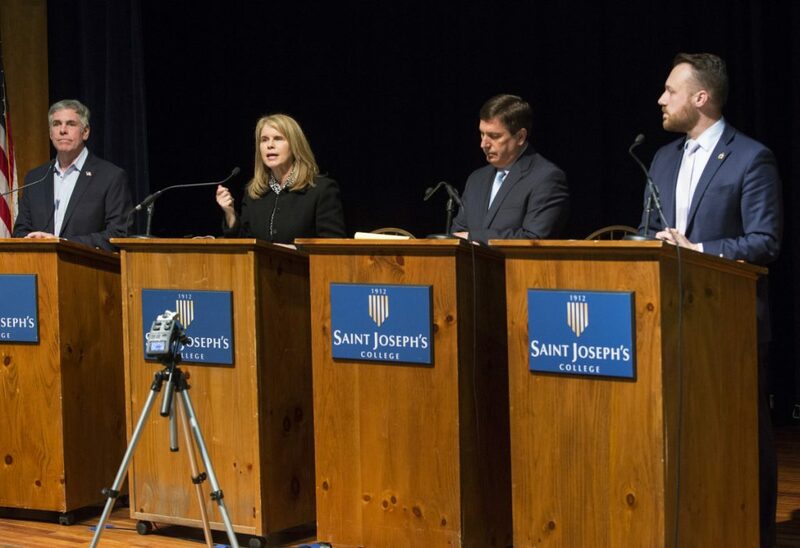 On that count, there are three candidates who look to be in pretty healthy shape heading towards the fall: independent Terry Hayes, Democrat Janet Mills and Republican Shawn Moody. All of them have taken in around a million dollars and have several hundred thousand dollars to spend at the moment. Hayes has almost $500,000 cash on hand, while Moody has around $275,000 and Mills has about $210,000. By these numbers, if you tried to translate them to a snapshot of the race, it would appear to be extremely competitive. Indeed, you might give a bit of an edge to Hayes, since she has more money available. That’s not really an accurate picture of the state of things, however. If the polls showed that these three candidates were close, then Hayes’ money advantage would indeed give her an enormous leg up. If, though, she’s trailing well behind the two major party candidates, then she’s got a lot more to make up for, and she might have nowhere near enough money. All we can judge right now based on the fundraising numbers is that all three of these candidates appear to be viable enough to run serious campaigns. 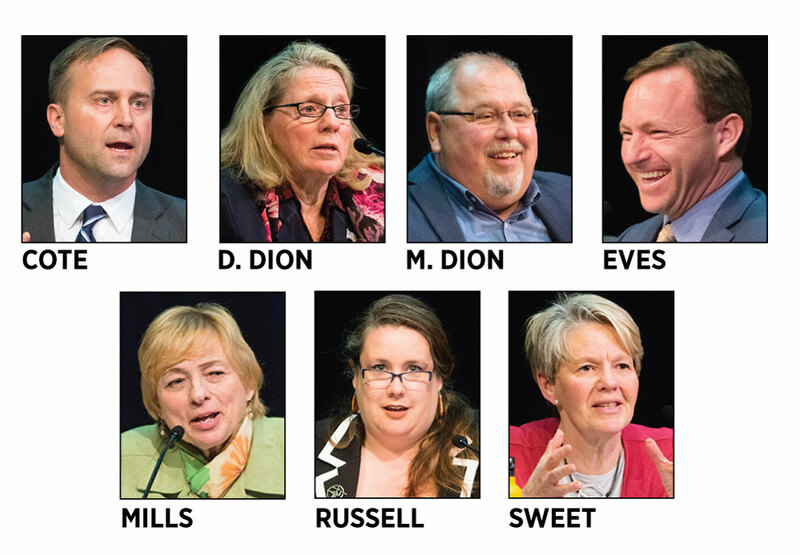 A fourth candidate, independent Alan Caron, might be as well, if he is able to continue to self-finance his campaign. However, we won’t really have a true sense of the race until we can match up the fundraising reports with poll numbers. Eight years ago, there was a public poll released immediately after the primary; this year it’s almost August and we have yet to see one. It’s worth remembering that in that first poll, Eliot Cutler polled in the single digits; eventually he outperformed the Democratic nominee. Even if we had public polls, it would be foolish to take them as gospel at this stage in the race.